If you have been reading my blog you will know that I am a big fan of Pixar movies. I just went to see Inside Out and it was a terrific exploration of emotions and how they guide & steer us through the days of our lives. 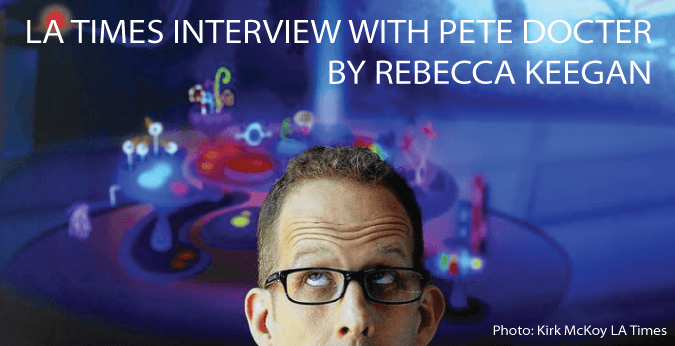 It was created by Peter Docter who, in addition to being the 10th employee at Pixar, has gone on to be a writer & director of a number of their movies including UP! & Wall-E . The inspiration for the movie came as he observed his 11 year old daughter wrestling with the emotional mood swings of the early teen years! So often ‘those old emotions’ have a way of steering us towards the answers that are already dwelling inside us. Sometimes just switching one word can spring into action the momentum needed to make the changes our ‘gut knows’ we need to make! I think I should switch careers. I feel like it’s the right decision to take that promotion. I think I should go back to school. I feel like it is time to start a job search. Let’s replace the think or feel with one word – Know. That knowing is your guts way of telling you what to do. I have found over the years that this emotional intuition is rarely wrong! I know I should switch careers. I know it is the right decision to take that promotion. I know I should enroll in that program at community college. I know it is the right time to start a job search. When faced with career challenges, you are thinking and feeling many things and our role is to help you turn that into knowing. Our clients share their journey, in moving from thinking to knowing. I was just speaking with 35 year old C.A. who is doing very well in his career, however he is unsure about the next steps. He has lots of questions, ideas and emotions to sort through towards arriving at that elusive state of knowing. I cannot wait to work with him and provide the guidance he needs to move forward and take control in the next steps in his career journey! Get The Right Career-Right Now! Find Clarity & Take Control. Knowing the right path, along the road with you! P.S. Start the journey towards becoming a better leader. The Leadership Identity Program is a 1-1 coaching program that I know will help you and your team achieve their full potential. Click here for more details.